Thanks to my wife, Josefina, you are in every letter and every word of the book. Because you inspired and because you co-wrote it. Without you, HumanOffOn would not exist or make any sense. Thanks to my family for every second and every minute I stole from them to write the book, and those who always were there for me with a smile, a hug and I love you. Thank you, Roger Domingo for giving me the opportunity to write again and for the confidence to write in complete freedom. Thanks to Ana Senosian, Iñigo Lanz and Ander Garcia, Creanavarra students, for the wonderful illustrations that visually synthesize the emotion and message outstandingly. And for your talent, professionalism and commitment. And to Creanavarra. Thank you, Sergio Stalman because with each advice you teach me to have a new look, opening doors that I did not even know existed. Marcelo Ghio, thanks for giving your time to discuss the design of the cover and your wise advice. Carola Kunkel, thanks for being a sympathetic, talented and passionate editor. Thank you, Gema, Charlie, Leo, Ana, Juan Carlos, without you covering my back I could never have done it. Thank you, Felipe Stalman for writing such wonderful and essential words and for having given such unforgettable words and moments in the book presentation. I admire you and learn from you since I know you and more and more every day. Thanks David Stalman for being in HumanOffOn, 60 years ago and today. Thank you, Gema Lloret for your art, for connecting things, for making things happen and for communicating and helping to communicate so well. 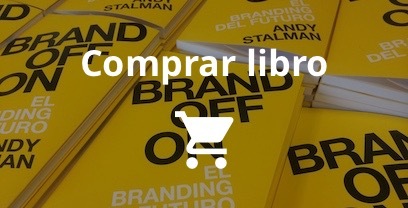 Thanks Emiliano Pérez Ansaldi for telling me, as soon as you read Brandoffon, that you “you were missing some more Andy.” I think that in this new book, you cannot say the same. And thank you for your unconditional support and for teaching from a place of humility. Thanks to Nacho de Pinedo, Salvador Suarez, Alberto Benbunam and Sebastian Muller for helping me think and rethink the title and the content while enjoying our gastronomic events. Thanks Susana Cabrera by rereading the jumbled letters and sharing your enriching impressions with me. Thanks Raul Rodriguez because with every conversation we had, we created new worlds that always led me to inspiration. Thanks, Fiorella Gamero, for answering an unconditionally “yes” when I asked you for a few words for the back of the book. Thank you, Sebastian Fernandez de Lara, for your kind words and your humility to remain the same teacher as always. Thanks Sebastian Muller for the infinite emotion that you have brought me from Buenos Aires. Expecting your words has been one of my most beautiful expectations. Thanks, Juanjo Fraile because you build futures, bridges and connections, all with positivity in common. Thanks for helping me cook the ideas of the book, and your immediate and generous support. Thanks Mark Aguinis for your time, your generosity and your inspiring words. Thanks Eladio Aráiz because no matter where you are, your generosity and greatness always go with you. If giving is synonymous with wealth, you must be a millionaire. Francisco Torreblanca, thanks for thinking and making me think. Thanks Idoia Iribertegui, Creanavarra and Ana, Iñigo and Ander’s teacher, by teaching to think, to reason and to do differently. And for your generous words in Pamplona. Ana Reyes Lorenzo thanks for your support and push on social media right from minute one. Manuel Moreno, thank you for the interview and for sharing. Thank you, Èlia Guardiola for being the first to share a photo with the book on Twitter, and for your good vibes. Thanks, Borja Muñoz. The fact that you share HumanOffOn is good enough reason to thank you, but that you also renamed me the “Latin Seth Godin”, deserves an extra thank you. 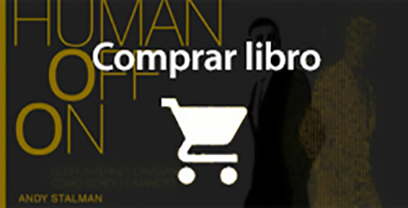 Thanks, Hernán Rodriguez for being the first to share a phrase from the book on Twitter. And what a phrase! one of my favourites. Thanks, Ricardo Rojas for sharing just because. Thanks Dolores Bañon, Digno Shepherd and Rocio Clemares for being the first to choose HumanOffOn to share with the Carrefour Property and Carmila’s team. Thanks Emmanuel Aguilar for sharing on Twitter the “HumanOffOn moments”, and finding the humane in each story. Thanks Martin Wainsztein. If everyone had a friend like you, how fortunate would humanity be! Thank you, José Luis Casal for choosing HumanOffOn (one of the firsts in doing so) as a traveling companion. Thanks for doing it and sharing it. 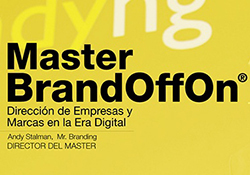 Thanks Alberto Isusi, Gorka Aparicio and the great team of Esden Business School for allowing us to implement a new way of teaching, where creativity and a new look are the blood that flows through the veins of the Brandoffon Master. For letting us teach how we think teaching should be done, and we say it in HumanOffOn. Thank you, Eugenia Toledo for being one of the most humane marketing people I’ve met in my life. 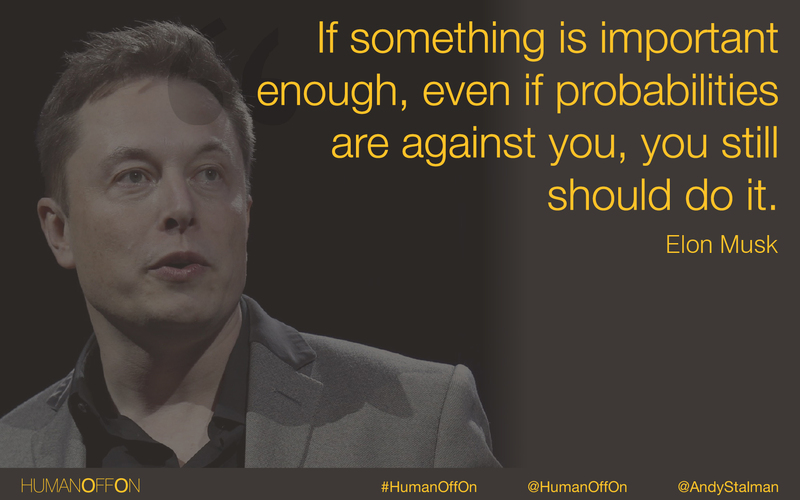 Book marketing and HumanOffOn are lucky to have you. Thank you, Alicia Davara, Paul Mutri, Carlos Bóveda, Guillermo Rodriguez, Leonel Erlichman and Pat Garavano for your support just because. Thank you, @Karen_Moll for having been the first one to take Humanoffon for a walk, and vice versa. Thanks Oianko Choperena, @Mcarabali, Mireya Trias Monllau, Mirka Plasencia and Angelica Pereyra for your generosity in sharing Humanoffon. Thanks Rodrigo Martinez for teaching from a place of humility and for giving for the sake of sharing. Thanks to my colleagues in the International Digital Business Seminar @ Harvard for joining in the presentation. Thanks to all the people whose name I forgot to add or whose name I do not know, who share, inspire, teach, contribute and make the world a better place.